Exit polls for Sweden’s national elections project a surge in support for the populist Sweden Democrats, who may have won around a fifth of the vote. Jimmie Åkesson’s eurosceptic, anti-mass migration party is forecast to take 19.2 percent of the vote in an exit poll for public broadcaster STV, while the ruling Prime Minister Stefan Löfven’s ruling Social Democrats losing significant ground and their Green Party partners only just breaking the 4 percent parliamentary threshold. 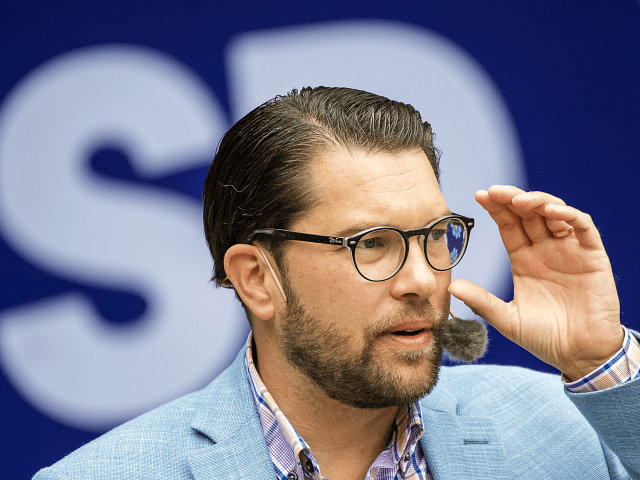 The Social Democrats’ establishment ‘centre-right’ rivals in the Moderate Party appear to have underwhelmed as well, with it looking likely that any mainstream minority coalition will have to cut deals with the Sweden Democrats — or each other — to legislate effectively. A TV4’s exit poll estimates more modest gains for the Sweden Democrats, at 16.3 percent of the vote, but still makes uncomfortable reading for the establishment blocs, with the Social Democrats receiving their share of the vote since 1908 — as in the STV poll — and the Moderates also falling back to 18.4 percent, only slightly ahead of the populist upstarts. Christian Christensen, an analyst from Stockholm University, has noted that exit polls for the previous election underestimated the Sweden Democrats’ share of the vote, and that pollsters’ claims to have adjusted their calculations this time around should be “taken with a grain of salt”. “SD voters tend not to answer, even in exit polls,” he observed — possibly anticipating that the populist party will perform even better than expected once the votes are tallied and the true results revealed.